Corn processing machines have made outstanding contributions in today’s corn industry. The corn processing machine can be used to produce a lot of corn products, such as corn grits, different size of corn granules, corn flour and so on. The electric corn grinder and corn flour mill are simple in structure, small in size, easy to operate, and easy to maintain. They are considered to be big stars in corn processing equipment and are welcomed by urban and rural areas in small corn processing. Because they are easy to use, they are suitable for small-scale agricultural product processing ventures. 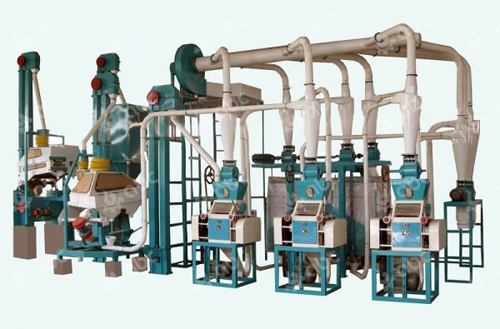 Corn processing machines can also be used to make corn flour or different size of corn granules. After the corn is peeled and degerminated, special embryo extraction and extraction procedures are established. At the same time, a small amount of corn embryos and corn pods are extracted, or a small amount of corn pods is extracted, and a large number of mainstreams of the embryo and mash mixture are sent to a grinding process to obtain corn embryos, corn flour and other products, corn mash processing equipment can meet people's daily needs of corn products. The development of corn processing equipment can not make progress without the support from out side. Wheat and corn are two main grain in the world. The development of corn and wheat also make great contribution to the development of economic. Now let’s talk about what aspects will influence the development of corn processing machines. Demand pulls. The product structure of corn processing machine remains relatively stable, and quality is constantly improving. The overall level of science and technology is gradually improving, and it can meets the needs of the corn deep processing industry. Processed feed is still the most important use of corn. The corn used accounts for 70% to 80% of the total corn consumption. The remaining deep-processed products mainly include starch, starch sugar, modified starch, alcohol, enzyme preparations, condiments, medicinal and chemical products in eight major series. Alternative promotion. What deserves special attention is that China is not only limited to food in the field of corn processing equipment, but has also begun to target alternative energy sources, that is, through the deep processing of corn to produce ethanol and adding it to gasoline as a fuel for automobiles. The improvement of the technological level of corn mash processing equipment can boost the progress and development of the corn deep processing industry. The rapid development of the corn deep processing industry can also drive the sound development of the entire industry. The two interact and complement each other. Technological innovation for corn processing machines is imminent. With the development of society and the continuous improvement of people's values, product segmentation is an unavoidable trend in the development of each industry, and the use of advanced science and technology to make segmented products more scientific and technological innovation and innovation. Under such market conditions, the development of corn processing equipment is imperative. The development of corn processing equipment is a concrete manifestation of optimizing the industrial structure, extending the industrial chain, and adding value-added goods. Corn accounts for a large proportion of finished corn products. 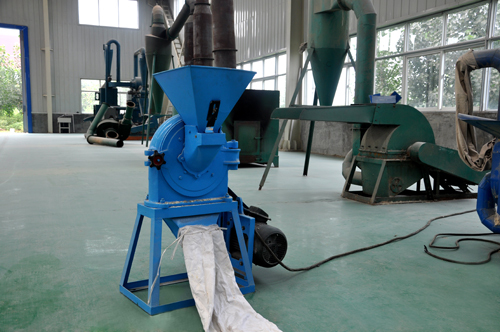 Maize processing equipment can better and more professionally complete the production of cornmeal. Under the impetus of science and technology, manufacturers of corn processing equipment should increase the efficiency of machines, improve the quality of corn products, and satisfy more abundant social needs.